As another indication - not that it was needed - that the Nintendo name still has broad appeal and brand power, Apple gave up an early chunk of its 'Special Event' to introduce Shigeru Miyamoto and Bill Trinen - they unveiled Super Mario Run. A left-to-right runner in which you tap to make the mascot jump, it certainly got the internet abuzz when revealed. As for all-important details, it has a core mode where you clear stages, a race / stunt mode where you tackle another player's score and seek to pull off the best jumps possible to impress Toads, and a third mode in which you use in-game currency to customise your own Mushroom Kingdom. Though there'll be a free introductory download, it's going to have one price for the full game, which should please those with a resistance to micro-transactions. It's coming to iOS first in December, and you can see it in action below. There was a downside. 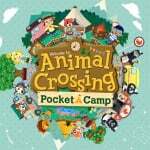 This new announcement has ultimately enforced a delay to the Animal Crossing and Fire Emblem mobile releases, which have slipped from the planned Fall / Autumn release; they'll come after Super Mario Run but before 31st March 2017. Also announced by Niantic during Apple's event was a fitness-focused Apple Watch version of Pokémon GO; that's due before the end of the year. A surprising turn of events, all told. We'll be tackling it all in the coming days, but we want to know where you stand. Are you pleased that the inevitable Mario runner is on the way, or are you in a state of despair? Are you disappointed or unbothered by the delays to Animal Crossing and Fire Emblem on mobile? Do you even have an Apple Watch for the upcoming version of Pokémon GO? As always let us know in the polls and comments below! What do you think of Super Mario Run so far? I think it looks amazing It looks good, I'm looking forward to it Hm, I'm not sure at the moment I'm not a huge fan so far, to be honest I don't like it. Period. Well, depends how quickly it comes to Android... No interest in Nintendo Mobile releases, so don't ask me! What are you thoughts on the Animal Crossing / Fire Emblem delays? Are you interested in Pokémon GO on Apple Watch? Absolutely, I'll be there day one I'm intrigued, I'll be watching it closely Um, I dunno I like the idea, but not that impressed by what I've heard so far Nope, not one bit Don't have an Apple Watch and / or don't want one What's a Pokémon? I'm an Android user, you don't want to know my thoughts. I could never dream of the day I would see Nintendo as an exclusive like this! I'm excited for it. Plus it will hopefully get people back into Mario and Nintendo games again which will in turn get people excited for the NX. I don't see a problem with this at all. For those that don't like it, there's this option called 'not buying it' which is perfectly viable. I don't care about the Fire Emblem and Animal Crossing games atm, but Super Mario Run has caught my attention (I heard level editor). We'll see; it's not like it's coming to Android any time soon. I own a Windows phone, so I can barely get a signal, let alone play Nintendo games on it. In fact the only way you can send messages on my phone is to write a note, wrap it around it, and throw it through someone's window. I actually think it looks pretty good, especially when compared to other throwaway app store games. If this is what it takes to put Nintendo in the minds of gamers and the public in general then I am all for it. More money for Nintendo means more money to put in future titles, which I don't think anyone can honestly argue that's a bad thing. Disappointed about the Animal Crossing delay though because I was quite looking forward to that one. More money in the bank for Nintendo is a good thing for their console business. Let's hope these titles sell well. ..can't wait for the IPhone 7/Super Mario Run Bundle...that should really help Apple sell some phones.. Massive amount of, "Don't care," all around for me. I don't own a cellphone, even if I did I wouldn't play games on it. Super Mario Run plays like Rayman Jungle/Fiesta Run which are very good mobile games. I'm looking forward to it.. on Android. Mobile titles don't really interest me that much anyway. I'm excited. Nintendo needs some positive news at the moment considering they're REFUSING to divulge NX info. I'm an iOS user so I'm looking forward to it. It's a shame the other apps were delayed but in the long run I think it's a good move. I don't think it screams "NINTENDO IS DOOMED" or "CONSOLE GAMING IS DEAD" like some of the comments on the other article were suggesting. I see it as more money for Nintendo, something positive for once and, if utilized well, positive advertisement for the NX when the time comes. For mobile standards, Super Mario Run looks okay. Making Mario auto pilot is probably for the best considering how finicky platforming controls are on mobile. (Unless they get Christan Whitehead, but he's busy with Sonic Mania atm). Could be worse, but I was looking forward to seeing a Fire Emblem CCG. I'll predict the new release windows for FE Mobile/ Animal Crossing Mobile for iOS. Mildly surprised at how little I'm surprised by this. It all makes sense. It was funny how PS4 pro reveal kinda fell flat immediately after. My only worry is whether there's room for small or relatively unknown indies to carve a niche in a Nintendo ecosystem that makes half its money on mass mobile games, and the rest on hardware designed to simply serve its own IP and existing customers. Will NX be economic if I'm not making a metroidvania. Nor a spiritual successor, (like what Fast racing Neo is to F-zero, where there's probably only going to be one of those per system). It looks pretty good. I'll probably give the free version a try before deciding whether to buy the full version or nor, though. I like the fact that it isn't filled with microtransactions, I'll get the "full" experience just by paying once which is always a plus in my books. They may have not announced NX yet, but they are certainly trying to push and reposition their brand and characters in preparation for the launch. At least, it shows they are trying more than they did with the Wii U. And regarding the Android/Apple fight... Meh, I don't care. They probably launched it in the App Store since they could have more control than on Google Play. I just hope this drives revenue up for Nintendo and promotes their brands, making them more relevant with mainstream. I hate seeing Nintendo games on anything other than Nintendo (especially Apple!) but if it means more sales of hardware and software and a greater appreciation of those games, and maybe even some day some sort of Gameboy phone then I will be happy. I just want Nintendo to stay healthy, make the great games they make on the great Nintendo consoles they make. If this is what it takes, then so be it. It doesn't look a bad game for mobile, but I hate gaming on mobile. I don't even think it should be referred to as gaming! Pricing Super Mario Run is going to be difficult. Please don't undervalue yourselves Nintendo, equally it's going to be hard not to price themselves out of the market. I would say something like $10? I used to think like you and like a lot of others who automatically dismiss mobile, until my brother showed me the games he was playing on iPad. And he's a core gamer like me (PS4, Wii U, X1, Vita, 3DS gamer). Games that, tbh, are starting to get to console quality level. Moreso smaller games like indies, but as we know from Shantae, Shovel Knight, Hyper Light Drifter, Bastion, etc, indies can outshine AAA now. And there's AAA on mobile too like Knights of the Old Republic, Deus Ex, Final Fantasy, etc. On a side note. I had a good laugh today watching the apple event since I finally updated my iPhone 5 to a Galaxy S7 Edge yesterday, then they announce a new iPhone the next day (today). Well it's not like I traded it in, so I can complain much. Normally it's time for a sarcastic comment from me that people will take way too seriously, but I don't know what to think about this. Like, part of me is like, "Nintendo regained market mind share by selling out to Apple!" And the other part of me is like, "Nintendo sold out to Apple. I think I know where this is heading." Considering the primary systme for most video game players is mobile - not Sony, not MS, not Nintendo - you could make a strong argument that Nintendo has finally given up and gone 3rd party. Still not happy or mad or upset... just processsing. It's pretty cool, I guess. Would rather want Fire Emblem first, but at the end of the day, it's Mario on IOS! By the way, I really hope people will stop saying "NINTENDO IS DOOMED!!!! NO MORE CONSOLE MARIO!!! "; it's getting really annoying. Looks like a good play-while-you're-riding-the-bus game. Nothing special, really, we do have lots of runners already. Also, I'll have to wait since I own an Android, but that's fine; at least it's way better than Miitomo. And like @Senpai_Bruh just said, I wish people would stop saying "Nintendo is doomed! ", "3rd party blah blah". Grow up! Nintendo isn't giving up on anything, just reaching a broader audience which is a great thing. I don't care for mobile games and don't own anything Apple, but I see who Nintendo is targeting with it. Business wise it might be a stroke of genius to team up with Apple for this. Kimishima is already stirring things up to "print money!" again. Personally, it looks decent but nothing to get me enthusiastic about. Too big a gap from "it looks good" to "I'm not sure". It looks OK, although nothing special, and I'm sure it will do fine. If your poll was a bit less confirmation biased, maybe with a clearer selection of great, good, OK/average, bad, terrible, it might be easier for me to vote. Because "Hm, I'm not sure at the moment" really isn't the same as OK or average but with nothing particularly questionable about it to be unsure of. I'm pretty dang sure it's OK.
Expected the delay. As for Super Mario Run, it looks terrible. Not fun at all. If the graphics and gameplay were more charming and interesting it would be fine, but I dislike this more than Federation Force, if you can believe it. Im not sure i will even like the mobile fire emblem. Mobile games should be capable of so much but they all seem to be bs cash grabs for very little longevity. I cqnt get behind or interested in mobile games. Despite being an Android user, I'm not miffed about Super Mario Run releasing for iOS first. I think the price point is an important thing to focus on though. It's fantastic that they won't be going the microtransaction route, but they shouldn't attempt to release it at Nintendo digital pricing either if they want initial high market penetration. It's really only a taste of Nintendo's full fledged offerings after all. If the goal is to get the mobile phone market interested in Nintendo IPs and Nintendo dedicated hardware with these games, it'd be smart to release SMR at an introductory price and increase the price after the initial surge in sales I'd think. As for the game itself, it seems a bit cramped. I wonder if you can play landscape mode? There's clearly cash to be grabbed from mobile games. As long as captain n puts the profits back into real nintendo games and hardware i will be happy. A software-only nintendo will lead to sowly selling off the rights to their ips and collapsing into sega. [email protected]#$ I hope that doesnt happen. @whodatninja Yes but any exclusive is bad enough. The game looks alright, but to be honest, I'm just so tired of the New Mario Bros. style! And Luigi's not playable! I'm definitely looking forward to the Animal Crossing app! I'm not a big fan of Fire Emblem, but I hope that game turns out good, as well. I do think it was smart of Nintendo to release Super Mario Run before the other app games. I wish Sonic Runners was still playable, though... that game was so fun, and very generous with the free content! As a company this is a great move for Nintendo stock and profits. As a loyal Nintendo console fan this is the death knell of the console business as we know it. The console business sits in 3rd place behind Mobile and PC and it is going to be harder and harder to get consumers and investors excited about dedicated gaming hardware. Anyone remember alarm clocks, watches, home phones, arcades, calculators, rolodex, notepads, hand written letters, bulletin boards, video game consoles? I don't know why people are upset about the iOS Mario. It's not like Nintendo's never released a generic cookie-cutter 2D Mario platformer before. Having one more isn't going to hurt. Well, the fact that you can purchase the whole thing at once is encouraging. Purely F2P games like Candy Crush tend to be a complete waste of time. "What's a Pokémon?" Are you kidding me ! I'm afraid that mobile users might give it a look for a week or so and then lose interest. I can't imagine that a long-term uptick in purchases of Nintendo's game systems and console games will be caused by this, but who knows? @RenanKJ Wow can't believe someone agrees with me. If I write "Stop saying Nintendo is doomed" on any other website, people go ballistic and tell me how I'm wrong and stupid. Glad to see the haters are just a vocal minority. And the majority of fans are more open minded. @XCWarrior Sure this isn't a sarcastic comment that will end up being taken too seriously? Because I think one cheaply made endless runner game means virtually nothing in the long run, and isn't a sign of Nintendo "selling out" or abandoning the general video game market for mobile anytime soon. Anyways, not interested at all in their mobile offerings- as long as they stay true to what was outlined, I'm okay with it. 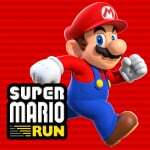 Mario Run looks pretty fun, and I was extremely surprised by that. The animation and the mechanics they added were pretty spot on and add a layer of depth to your usual runner game, and that competitive "gotta grab all coins" seems like a nice extra mode to play. I wonder if Super Mario Run will have multiple playable characters, like Luigi, Yellow Toad, Blue Toad, Toadette, Wario, Waluigi, Yoshi, Daisy, Peach, and a few others. I think it's a good mood bringing Mario out before AC and FE. It's okay to push them back especially if they are a more fleshed out game. I'm okay with this. It's really nothing more than a commercial for their consoles, and if it helps generate more money that's okay. I'm pretty sure it will enjoy some early success. My Windows phone has a great signal and works brilliantly. Perhaps your Cartersville, which makes much more sense. Blegh. I might consider trying it if I was almost bored to death or something. I haven't been that bored in a very long time. I feel like he would totally fit the genre. Now, the million dollar question: Considering that the mobile market is primarily fad based, what will Nintendo's future in the mobile market look like when people stop caring about Super Mario Run and Pokemon Go? My biggest concern is that once Nintendo releases mobile apps in their biggest IPs, that they won't able to repeat said success. The big concern is that it's all going to be short term profit, and a short term spike in brand awareness. Animal Crossing New Leaf will get a new update = more 50 New Villagers. Wonder if the mobile version also included those 50 new villagers that can be hired as our villagers. I think the delay is the main reason. While waiting a new update released, probably the mobile version will get something that we never knew yet. @Spoony_Tech Again, another whiny android user that didn't even watch the announcement. It is a timed exclusive, It will be on Android shortly after. Developers are smarter to put paid apps on the iOS app store first because the App store has more paid app downloads than android and because Apple pays more money to devs than android. That large chunk of money made by being on iOS first helps developers get through developing it for another platform and making sure it gets to Android in the best possible quality. Paid apps being on iPhone first have a better chance of having a solid release on Android. I have no idea why Nintendo insists on using that crappy NSMB art style... Laziness? But otherwise, whatever. The only thing I dislike about this is that it's making everyone go ape. A few mobile games aren't going too take away 3DS/NX sales like some people are saying. This is the same company that's so secretive they have basically denied the NX even though it's most likely releasing in 7~ months. Didn't care about Miitomo or Pokemon Go, won't care about Super Mario Run or whatever they're making. Android user, so I won't be downloading this. Although, honestly, this sounds horrendous anyway. One hopes the delay to Animal Crossing are to fatten it up. I'll bet Nintendo we're going to release some sort of companion app but realised they could make a killing by just making a full AC game for phones. Will it be an iOS exclusive? Premium games have a hard time on Android because piracy is so rampant. And we know how protective Nintendo is of its assets. All I can say is that I hope the NX blows me away, because Nintendo has been losing me as a fan for the past few years. That's not to say that this game looks bad, but it's certainly not the kind of game I go to Nintendo for. Poor androids. They won't get to play Mario. Don't care about smartphone gaming at all so I couldn't care less about SMR or the delays. It'll come to Android eventually, it'd just be dumb to leave out such a big portion of your potential customers like that. Apple got 30% of Pokemon Go's earning, of course they like Nintendo now. The new Apple watch will have Pokemon faceplates and even run Pokemon Go! Over 80% of Pokemon Go's earning came from iOS, the same with most smartphone games. Most developers don't care about Android, if an app is available for Android it's not for financial gain: it's out of sympathy for the masses. I hope Nintendo doesn't end up completely neglecting Android. I refuse to support Apple and I'm a little disappointed in the timed exclusivity. Otherwise, this seems to be a good move for Nintendo. It will help buffer them financially while keeping their IP relevant with the masses. It's obvious that Nintendo's mobile games aren't meant as replacements for their core games. Super Mario Run looks like a lot of fun, for what it is. A quick time killer. It looks fine, I guess. Something I would play for about a week and then never touch again. But that's mobile gaming for you. I have no issue with Nintendo delving into the mobile gaming market, but I just really hope it doesn't distract from making real games for real game consoles. I feel the exact same way. I really enjoy animal crossing and wanted to see it on mobile. I found it funny that there was a mini direct in November for a game coming out in fall. I'm not surprised about the delay, but am surprised Nintendo totally contradicted themselves by saying Mario needs more time so they're doing ac/ fire emblem and then delaying those 2 to get us Mario. May i ask something ? How do we know if the game Apps in our smartphone is Genuine or Pirated ? In the Apple event video, it shows game tickets at the top of the level select screen. I wonder how you earn those and what they are for. Personally I think this is a genius move and the game looks fun. Not sure I understand the negativity. It's not replacing their core games (not yet anyway!) and it could be a nice cash cow for them. The reason Nintendo is developing this for Apple devices exclusively is that it's far easier to develop for platforms you know the exact specs and hardware of. Android's greatest strength is also it's biggest weakness in this sense: As a developer, you have to cater to so many more form factors, hardware specifications, and quirks, that it makes it almost impossible to provide a cohesively good experience on the platform. Considering Nintendo is so used to developing for their own hardware where they know all the specs intimately, Apple is the perfect choice. This looks bland and boring. I do not want it, and I will not get it. I have absolutely no issue with Nintendo's mobile expansion. Once again they are broadening everyones horizons. Sony on the back of this is now making plans to go mobile, just like both them and xbox moved into the motion control arena after the wii launched. Im personally not a big mobile gamer purely because i just dont like the controls and am too lazy to but a gamepad, but if this creates great revenue for nintendo to strenghten them and allow them to put more capital into new games for the home market then im definitely all for it. There really isn't anything unique from what I've seen so far. Rayman Fiesta Run or whatever it was called was basically this same thing. Every mobile game genre follows identical formats with very little that is unique aside from the shiny graphics. Even "core" titles with mobile entries like Kingdom Hearts Unchained X, Final Fantasy Brave Exvius, Final Fantasy Mobius, Tales of Link... They all do the exact same stuff, just with a different theme. Mobile still cannot deliver the same kind of content that standard gaming platforms do and Nintendo seems to be doing just the same. I really hope AC and FE do something different, but I doubt they will. Mobile just is for a very specific kind of person, but it's just not for me, obviously. I just cannot imagine how someone can settle for this when there are much better options. Just looking at the Facebook comments for this announcement, it's baffling how many people are content with these games as opposed to just buying the platform. I get the feeling that Nintendo will never be able to sway these people to buy their devices because they have no desire to play the real deal. Lol @ all the people thinking that Nintendo essentially releasing a marketing application for spreading awareness about their hardware and games (which is the genius of Kimishima's leadership, mind you), equals Nintendo going third-party and discontinuing console production, everybody gets laid off, everyone is dead at Nintendo, Kirby has a stomach-ache, and big bad Apple is buying out Nintendo, like Micro$oft bought out poor Rareware. I am beginning to get the air that a lot of people on this site aren't too bright, are massive drama queens, or jump to conclusions far too early. God people, IT'S A SIMPLE MARKETING STRATEGY! GET OVER IT! It makes sense for Nintendo to put Mario first, fire emblem is pretty niche and animal crossing might have trouble standing out inbetween all the other cutesy townbuilders, whereas everybody knows who Mario is! I don't honestly care about Super Mario Run at the moment, due to having an Android phone. I don't mind but I sure hope it comes to the eShop. It was awesome seeing myamoto on the apple conference. I expected them on the tv one last year, but was too early. Plus the iphone one makes the biggest splash, so I should have seen that coming. That soundtrack for the first level and the underground is the best thing about this! So, this is really "New Super Mario Bros. Mobile", I guess. Sorry, but that’s just stupid and poor fanboyism from your side. No company is releasing games for a platform out of sympathy, but only because it makes financial sense. Even if your numbers are right, 20% of Pokemon Go's earnings are still a whole lot of money, and would be an important revenue for any company. Nintendo is also hopping for the synergy effect here. These mobile apps can also reach new customers for their Console business, and make Nintendo relevant again among a lost audience. For that purpose, Android is just as important than iOS. I have several powerful and up to date mobile devices but I refuse to play Nintendo games (or any other) on them. That's why I own Nintendo game systems. They are for games. And so it will remain. I'd have been fine with Super Mario Run being released on iOS first, but now Android users like myself have nothing to look forward to, at least not from Nintendo and DeNA, anyways. Looking forward to AC. It seems like the perfect casual mobile game, depending on how it's implemented. I'm just bummed out that it's not coming to Android yet. I do think this is a good move by Nintendo, however. And although I'm a bit disappointed about the delay to Fire Emblem, it's just one of those inevitable things about having to make choices with only a limited amount of capacity. Nintendo + Apple = pretty rad combo IMO. Always wondered what that would look like. Never cared for Fire Emblem or Animal Crossing though. It really amazes me that Nintendo decided to leave Mario Run off of the largest mobile OS out there and put it to just iOS.... I hope they do move it to android sometime. I am sure that Nintendo is also partnering with Apple for the NX. @YouSeemFRAZZLED I hope there is some sort of connection, I saw Mii's so maybe it can import your miitomo mii? wishful thinking? No, that will never happen. Stop being silly. Both Nintendo and Apple are very closed companies, and likes full control of their own hardware and software. Apple doesn't need Nintendo at all either, and are only interested in Nintendo as a developer for their own closed app store. It is here where they generate all their revenue. Why should they share this with Nintendo. Apple doesn't seem very interested en a dedicated gaming platform either. iOS is also such a closed system, that only Apple control, and they will never let anybody else have a look at it. That's for sure. It's is actually more likely, that Nintendo will fork Android, clean it from anything 'Google' connected, and use it to build their own platform on NX. Stock open-source Android can be molded to whatever you want it to be, and Nintendo will have full control of it. They can develop their own unique skin for it, make their own default apps and apps-store like E-shop, and call it Nintendo-OS. Amazon did something similar with their Kindle devices. I'm pretty meh about it. But i'll probably install it once it comes to Android. It's not just this little thing. It's all the things the last year or two Nintendo has been doing. 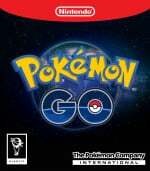 3) NIntendo/Niantic releases Pokemon Go. World explodes. Stock skyrockets - until investors find out Nintendo only gets a little cut, so stocks go back down. 4) Nintendo doesn't like stock going down, so sells soul to Apple, and lazy Mario Endless Runner is revealed. Stocks soar again. 3) That Direct last week, it was a bunch of WiiU to 3DS ports, and some 3rd party offerings. 4) Even the big game for the holiday, Pokemon Sun/Moon, is full of lazy Aloha skins. And a majority of the new POkemon look very meh. 5) Nintendo is so unsure of what to do with NX, they've now waited out the revels of XB Scorpio and PS4Pro. If they were confident in the NX, they would have just showed it off to let they hype build. I don't think they know how to market whatever it is. 7) Don't you love how the guy who took over for Iwata is trying to make a name for himself so far? Yeah, I struggle to remember his name or what he looks like too. I sadly could go on, but you get the point. Nintendo has a lot of things that are signaling that NX will likely be their final attempt at a console. Which is sad, but all good things must come to an end. Part 1: "Sells soul to Apple"
What? Seriously, what? It's a runner game on mobile that will release first on the Iphone 7 and come to Android early next year. You're acting like they just handed Apple the majority of their stock when it's a small partnership over one freaking game. 1. The Wii U was a failure- why should they continue to put focus on it? 2. They're in a transitional period. How many good wii games were released in the year leading up the Wii U? And don't say anything from Project Rainfall, because those were localizations of games that released in Japan years ago. 3. Because this a transitional period- everything points towards the NX being a hybrid console. 4. You call Alola forms lazy, I see them as a way of making older Pokemon viable and sidestepping X and Y's main issue of having too many old Pokemon. And please. There's always a vocal minority who craps on the newest designs. 5. Can't really say much here- that much I'd mostly agree with. 6. Who cares about customer loyalty programs, exactly? Off the top of my head, Nintendo is the only major company I can think of that does that. 7. And you're just flat out assuming things and throwing dirt at Tatsumi Kimishima. Yes, he's not Satoru Iwata; the issue? This whole point is inconsequential. Where does this say that they're giving up and going 3rd party? This matches up exactly with what has been said- mobile is a way to get money and try and attract people to their hardware. The quote itself says they're not going to stop making hardware. They know that they're not the most popular gaming platform in the world- that's good. They're not releasing console games on mobile- they're releasing mobile games on mobile. Seriously, I'm sick of people like you overreacting about this stuff. @RoomB31 It probably uses your Mii from your Nintendo Account, which can either be from Miitomo or your NNID. @CrazedCavalier I'm glad you still think Nintendo is doing a good job. I think most of their decisions are open to a lot of criticism. Until their popularity returns to levels it was during the DS/Wii era, I'm going to go with I'm right. And don't say it can't happen. They owned the market in NES/SNES days, lost it for 2 gen, then got it back... then just threw it away with a lot of horrible names and bad marketing. So they can get it back, but not how they are doing it right now. Back to the original point you keep saying. Yes, Mario Runner is only 1 game. But more games are coming. And my bet is, its a lot more than you want to believe. @XCWarrior Mobile is meant to be "a pillar of profit", after all. A pillar of profit- they've given no indication of leaving the dedicated hardware market (and have reassured fans on that matter within the past year). The Wii and DS were temporary- they lost their dominance of the market due to most casual gamers moving to mobile. This is a movement to profit off of said market again and try and get some back into the fold. When say things like "Sold their soul" and in general use extremely melodramatic wording, I'm much less likely to take you seriously. @CrazedCavalier "Sold their soul," "soul out," "become Apple's b****," phrase it however you want, but Nintendo went to bed with Apple. They were right on stage with them, you can't deny it. Sure, you want to team up with the most powerful bully on the block in hopes you can take down the other two bullies, but what happened to the days when they would try and create a way to fight back themselves? @bherdm I think you and me are the only ones in this comment section looking for AW support. BUT I REALLY hope this happens if it's possible. I wish they wouldn't announce things and then delay them, it's so disappointing. I wouldn't care if these games came out in March if they hadn't already told us it'd be out this autumn, but they did and it's annoying. Considering the mess Apple has made with iPhone 7 (not interested in it myself, but have seen nothing but criticism of it), I kind of get the feeling Nintendo are just trying to cushion the blow for them, without being too obvious. Why mobile games has to be please don't use that word? Why can't we get a real mario bros ? instead of a stupid boring runner to play on the toilet for 10mins, and get bored and never play it again!